Ouya has released a new version of its Android-based console with twice the storage, a redesigned controller topped off with a matte black finish. The new 16GB version doubles the previous 8GB storage found in the original console so you can play more of the new games popping in the Ouya store. Ouya's console also ships with a redesigned controller that has more textured thumbsticks, non-sticky action buttons and tighter triggers to effectively eliminate any problems found with the original. It also features a better Bluetooth connection and Wi-Fi performance. 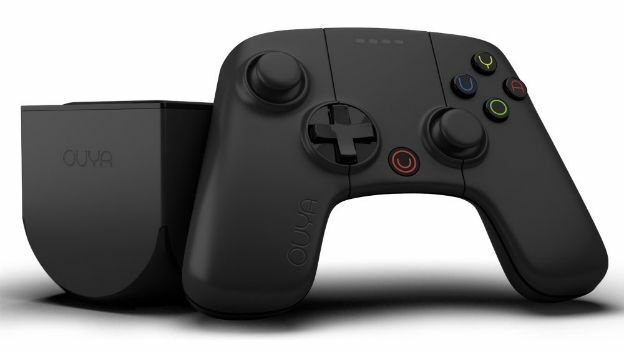 Ouya's microconsole follows the same matte black trend set by the PlayStation 4 and Xbox One. It's currently on sale in the US for $129.99 at Ouya's website and Amazon whilst the original 8GB black-and-gray Ouya will remain on sale for $99. The Ouya shot to prominence after a barnstorming Kickstarter campaign saw the company rack up $8.6 million in funding. Ouya briefly launched a white limited-edition version in North America last Christmas with 16GB of storage also for $129.99. Prices in the UK and Australia are yet to be announced.